"Christian Therapy services for the entire family- Marriage, adult, children and adolescents"
Serving The Woodlands, Spring, Conroe, Houston, TX (and surrounding areas) Call (281) 419-2323 today! "Christian Counseling which brings hope and healing through Jesus Christ"
"For the Lord your God is living among you. Christian Counseling Services for the entire family - Adults, marriage, couples, family, children and adolescents! "Are you looking for christian counselors who can help you, with God's power, overcome challenges in your life, problems in your marriage, your family or difficulties with your adolescent or child?" Issues such as depression, loneliness, trauma, hopelessness, anxiety, purposelessness are adversities that any Christian and Non-Christian alike can face at any point in life. At times, we are even ashamed that we have these struggles leading us to alienate ourselves from God and others, to question our faith and doubt God's love for us. Other times in life we are deeply injured through a divorce, an affair, the loss of a child, or even abuse or abandonment. Thus we experience deep feelings of grief and loss, shame, guilt, and become afraid to ever love and trust again. At times, we may struggle coping with stress and the demands and responsibilities of life so we turn to addictions, anger and rage, or substance abuse for an escape. These can then become strongholds in our lives which we feel powerless to overcome. We are also labeled with terms such as 'ADD' or 'ADHD', 'OCD' 'Bipolar', or 'PTSD' and wonder what they mean and how to cope with them. 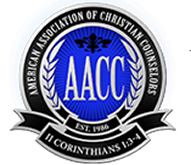 "As Professional Christian Counselors, through the guidance of the Holy Spirit, we incorporate Biblical principles and counseling skills with solid clinical knowledge, theory and practice." "Remember, THERE IS HOPE!." Not only does God desire that you don't go through struggles alone but He may want to use them to grow you and transform you, to bless you and to fulfill his ultimate and beautiful purpose for you (Rom 5:3-5, James 1:2-4, Jer 33:11, Rom 8:28, and I Cor 2:9). Don't delay, contact Christian Counseling today for an initial visit or obtain more information on how we are dedicated to helping you, your family, your marriage, adolescent or child achieve their full potential in Christ. Christian Counseling that is safe, effective and professional!